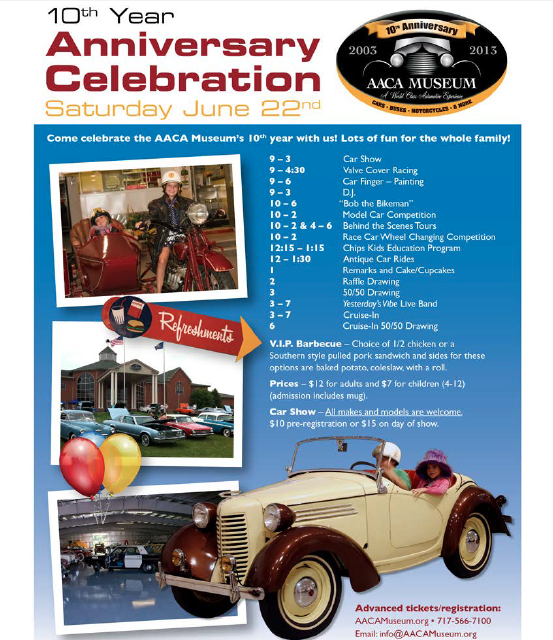 Ask Away Blog: Antique Automobile Club of America in Hershey - BBQ& Car Show on Sat! Antique Automobile Club of America in Hershey - BBQ& Car Show on Sat! What are you doing this weekend? Too early to figure it out yet? Well, I have an idea - head to Hershey to the Antique Automobile Club of America in Hershey, PA and attend their 10th Anniversary Celebration by enjoying a BBQ and car show!! Looks very intresting, thank you so much to share this for us! That looks like so much fun! I'm going to a hot air balloon festival tonight if the weather holds off!